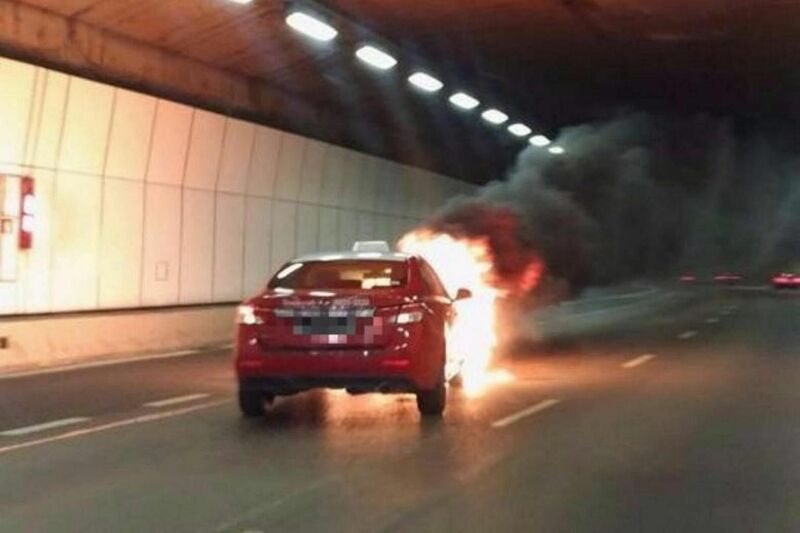 SINGAPORE - The safety of their fellow road users was foremost on the minds of two friends when they helped put out a taxi fire in the Kallang-Paya Lebar Expressway (KPE) tunnel on Tuesday (Aug 29) evening. 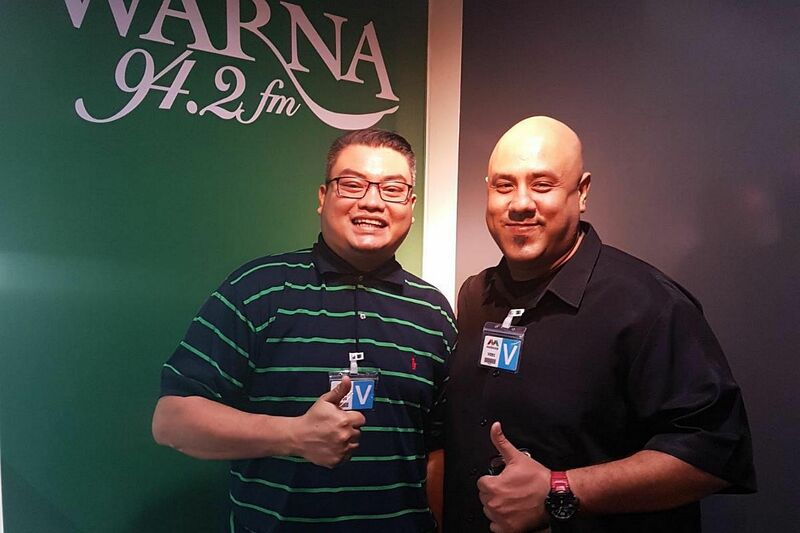 Mr Mohamad Fuad Abdul Aziz and Mr Syed Abdillah Alhabshee have been hailed as "heroes" after their bravery was highlighted on social media. "We saw a fire, so we rushed in to help," Mr Fuad, 36, told The Straits Times on Wednesday. "We didn't think of the danger - only for the safety of our fellow motorists." Mr Fuad, an experienced emergency responder who works as a training manager for Medlink Services, said they were driving in the tunnel at around 6.50pm when they heard a loud explosion. They immediately stopped their ambulance - Mr Syed Abdillah, 37, owns First Medic Training and Ambulance Services - and switched on its hazard lights to help close off the middle lane from traffic. Proceeding further down the tunnel on foot for about 50m , they saw the front portion of a Transcab taxi engulfed in flames. A van that was ferrying had also stopped to help. Together with two of the Gurkhas, Mr Fuad took a fire extinguisher from the tunnel and attempted to douse the flames but was unsuccessful as the tunnel was too windy. Mr Fuad and Mr Syed Abdillah then grabbed the hosereel located near the extinguisher and managed to put out the blaze in about 10 minutes. The two men then continued damping down operations until the arrival of the Singapore Civil Defence Force (SCDF). They left the tunnel at around 7.30pm, about 45 minutes after the fire first started. "As we're used to emergency situations, lending a helping hand was almost second nature to us," said Mr Fuad. "We're just glad that there were no casualties." The incident, which caused a huge traffic jam during evening peak hour, also saw motorists being asked to leave their vehicles for the nearest exit.